Home Page: Learn Everything You Need to Be A Better Therapist Here! Welcome to Creative Counseling 101.com! This site has over 800 free pages of Creative Counseling ideas, techniques, lessons, and much more! 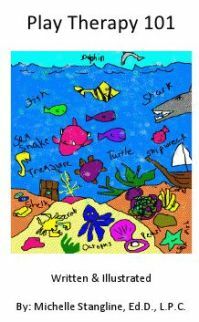 Free, colorful, worksheets you can reproduce for your clients and students! Let this site show you what they often neglect to teach you in graduate school! Learn trade secrets from a college graduate school professor and many experts who write for this site! It's Finally Here! Dr. Stangline's newest eBook based on her graduate college counseling class. 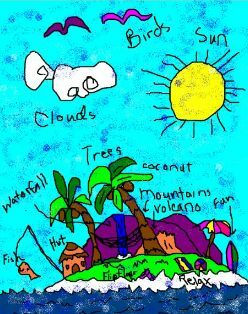 Learn everything Dr. Stangline teaches in a graduate school art therapy class. See the right hand column for more information. 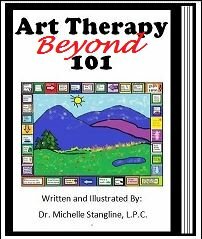 Over 300 pages of art therapy techniques and activities for all mental health professionals, not just art therapist! Beyond Art Therapy goes beyond traditional art therapy and utilizes Creative Counseling techniques as well. What Exactly is Creative Counseling? 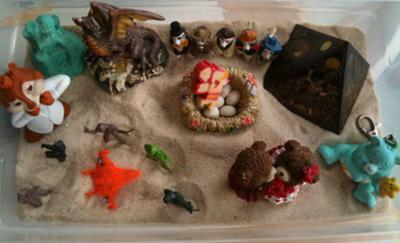 Creative Counseling combines creativity with Play Therapy, Art Therapy, Sand Tray Therapy, Visual Imagery, Miniature Phenomenological Worlds, Therapy Games, Bibliotherapy, Helping Skills, Ethics, Group Therapy, and much more! Creative Counseling offers more to clients than the traditional therapies do. Let us show you the secrets of therapy and counseling with our free activities and techniques. 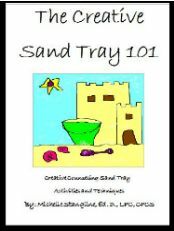 Dr. Stangline, a Counseling Psychologist, has taught Play Therapy, Sand Tray Therapy, Counselor Ethics, Counseling Supervision, Helping Skills, and Creative Counseling classes to graduate students at two major universities in Atlanta, Ga. She has also taught graduate counseling classes online. 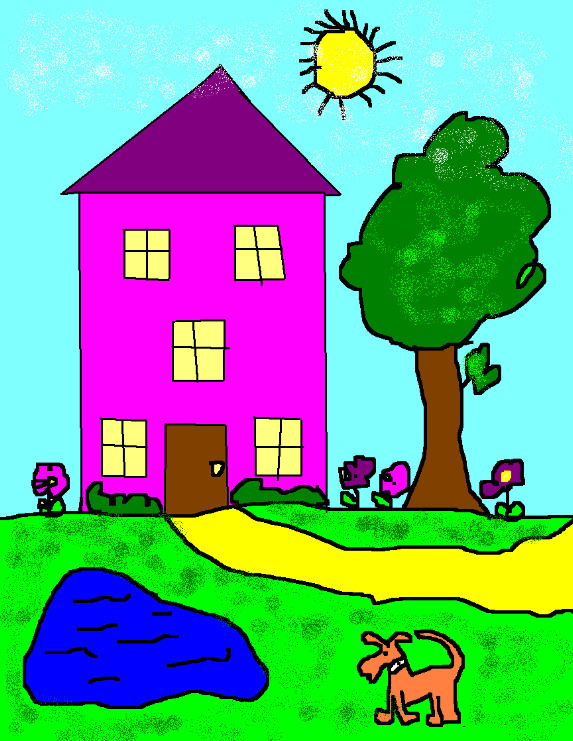 House, Tree, Sun, Water, Animal Art Therapy Activity with Translation Information: See Art Therapy Tab to the left on the Navagation Bar. The Creative Counseling approach offers a creative way of doing therapy for clients in order to promote emotional well being and healing. Let us show you what they teach in graduate school and give you the tools you need to be a Creative Counselor or Therapist! Creative Counseling can also be modified to use in the school counseling sector for students. Dr. Stangline has worked as a school counselor for the past twelve years, as well as a private practice therapist. Creative Counseling offers more than one, or two, therapeutic approaches. It is a conglomeration of many therapy styles and schools of therapeutic thought. It is an eclectic way of doing therapy that promotes healing on a deeper level for the client. The Creative Counseling way allows the therapist to have greater access to tools and techniques to promote this deeper level of healing. When a therapist uses Creative Counseling they rarely get "stuck"!Creativity is the guide for the therapist and the client. Creative Counseling is much more than just "talk therapy". Creative Counseling offers therapist more tools to use in their counseling sessions with clients. This website contains many basic tools using Creative Counseling. This type of therapy is geared for the beginning therapist, as well as the advanced, seasoned, therapist who is looking for more to offer to their clients. The activities shown have been used in the private practice setting and the school counseling setting for clients of all ages. Every age group, culture, and gender responds well to Creative Counseling!I have taught these activities to college students in graduate counseling programs, as well as private practice and the school counseling setting. 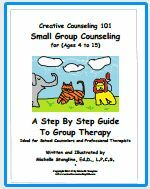 These creative counseling activities work well for all age groups. There is no age limit for Creative Counseling!Are you ready to be a creative counselor, or psychotherapist? Are you ready to move forward in your career and never get "stuck" again in a therapy session?Then let me show you what I have shown hundreds of other therapists, graduate students, and clients! 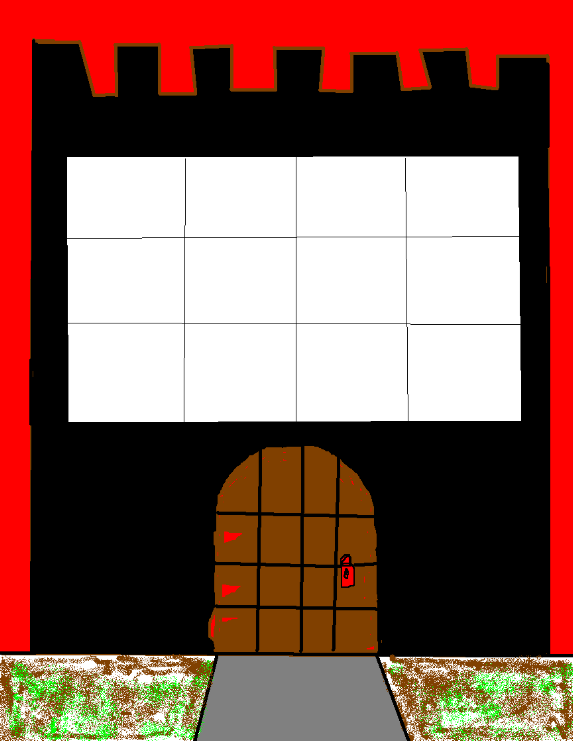 The Tower Anger Management Activity Above: See Anger Management Link for free worksheets. If you are not using Creative Counseling then you are not doing what is best for your clients. Creative Counseling is for clients of all ages and cultures. Therapist who use Creative Counseling never get "stuck" when utilizing therapy with clients. 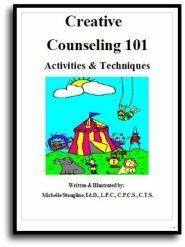 This website has over eight hundred free pages on Creative Counseling, School Counseling, Play Therapy, Sand Tray Therapy, and more. Once you learn the secrets of Creative Counseling you will never go back to the old way of doing therapy, or counseling! 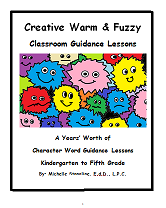 For more information on Creative Counseling Lessons see the right column for on-line eBooks. See right hand column for all eBooks and visit our eBook Store tab to the left. All Links can be found below and also on the Navagation Bar to the Left.